A collection of my favorite books to read in and out of the Elementary classroom. 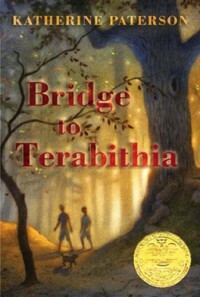 Bridge to Terabithia by Katherine Paterson is a great novel that tells a touching story about friendship and loss. This novel is easily relatable to any audience as most have felt like an outsider at some point in their lives. It is easy to fall in love with the characters and relate to their conflicts in the novel. This is a perfect novel for the classroom as it has a great deal of symbolism for students to learn from. The symbolism in this book can be broken down during class discussions and further enhanced through a variety of comprehension activities. There are endless possibilities to using this novel in the classroom!